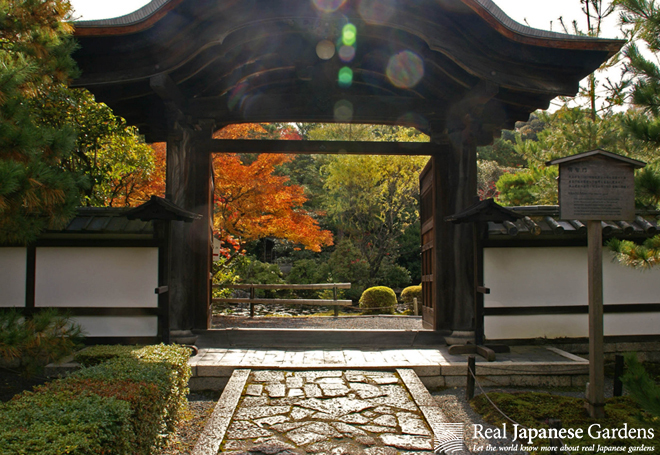 Paths in Japanese gardens have more than one function – Not only do they lead the visitor through the garden and to the best vistas, they also influence how the visitor experiences the garden. A wide and neatly laid out path encourages a fast pace, maybe two or even three persons can walk next to each other. 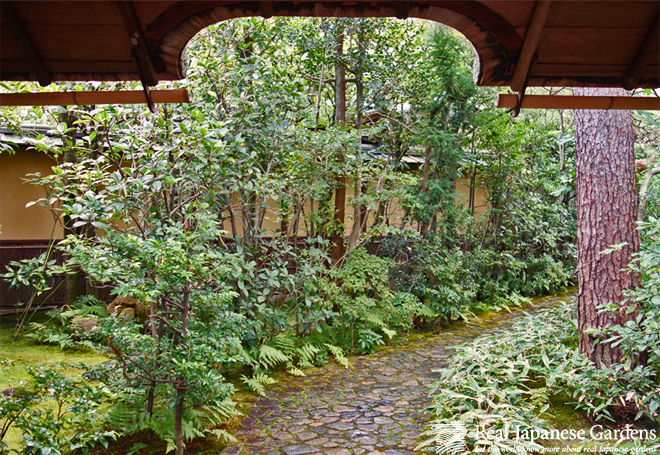 It would be possible for the visitors to chat or to look at the garden and the buildings while walking. 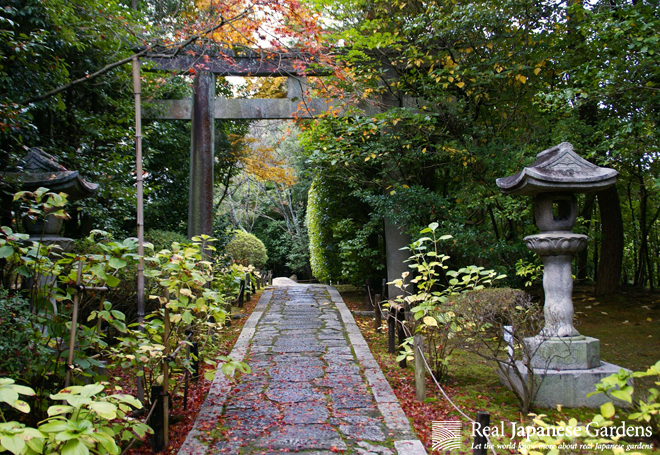 On a narrow path of rough or rounded natural stones, in contrast, guests would have to go in a row while watching their footsteps carefully. The visitors attention would be directed from external influences towards the action of placing their feet on the stepping stones one step at a time - a completely different garden experience. 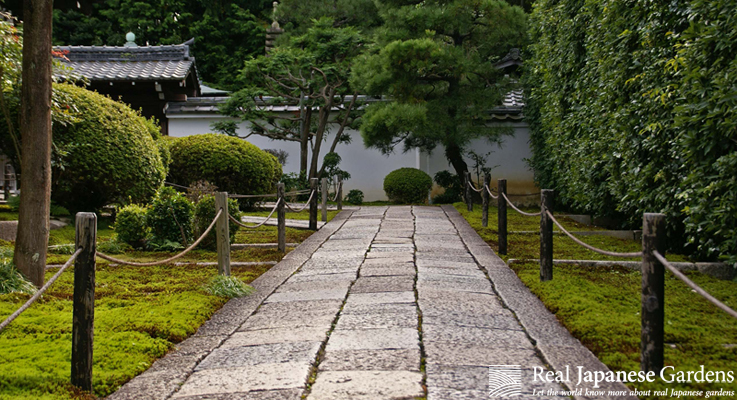 Paths are also the connection between architecture and the garden – usually, paths around the main building of a residence or temple are straight and formal and become more naturalistic and informal as they lead away from the building and into the garden. 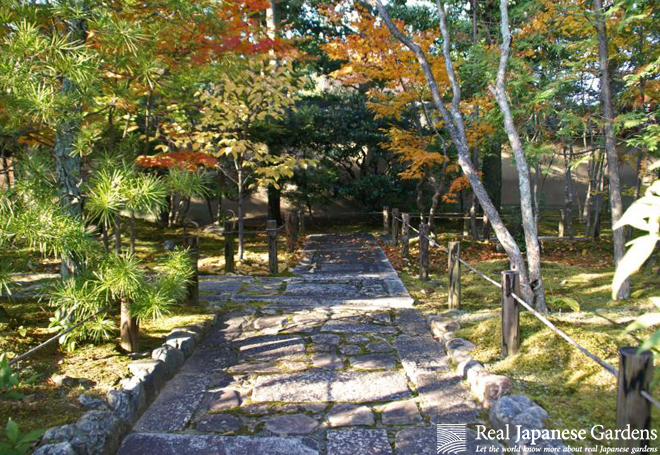 Part 1 of the Japanese garden path series focuses on laid stone paths, while Part 2 will deal with stepping stones and smaller gardens paths. Money back guarantee - If you are not 100% satisfied with this eBook, we return your money - no questions asked! Mar 31 2013 - Japanese garden paths Part II - Stepping stones and Trump stones in the Japanese garden. 53 great garden pictures and explanations.